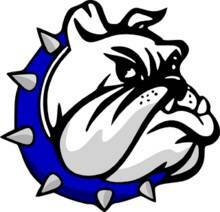 LUCAS — After posting 59 points in their home contest last week against Gates Mills Hawken, the Crestline Bulldogs headed to Lucas for a clash with the hosting Cubs. Unfortunately for the ‘Dogs, the trip would not yield ideal results as they loaded the buses to head home after being shutout by their hosts; 48-0. With the defeat, Crestline now sits at 2-4 on the 2018 season while Lucas improves to 4-2. The Bulldogs will be back on their home field in week seven action as they welcome the 5-1 Ashtabula St. John Fighting Herald to town on a Saturday afternoon. For Lucas, they will play host to the 1-5 Harrison Central Huskies. Lucas did the bulk of their damage in the opening quarter, scoring on runs of 26, 48 and five yards to put the game at 23-0 after the first 12 minutes. In the second, the Cubs tacked on two additional rushing scores, from 30 and 25 yards, to bring the score at the half to 36-0. With a one yard run into the endzone in both the third and fourth quarters, the hosting Lucas squad walked away with the lopsided win. Crestline managed just 62 yards of total offense against the Cubs’ defense. The ground game for the ‘Dogs saw just nine yards gained while quarterback Ty Clark managed 53 yards through the air on 4/21 passing. Clark tossed two interceptions in the process. Dakota Wireman gained 11 yards on eight carries for Crestline’s only positive, ground yardage. Kaden Ronk caught two Clark passes leading to 42 yards while Caleb Moore had one catch for 11 yards. Defensively, the Bulldogs had 15 players finish the game with at least one tackle with Jaxson France and Ethan Clum leading the way. France had five tackles and four assisted tackles while Clum notched five tackles and six assisted with one tackle for a loss.